Stanczyk reported on 11 February 2013 , that the Polish Archives would be posting 2.4 Million scans of church/synagogue metric books on the Internet. The first phase which is due to be complete in March (this month) does not include any scans from Kielce Archive, which means that there will not be metric book scans of my ancestors in the first phase (Let’s be hopeful for something in June). Well what can you do if your ancestors are from SwietoKrzyskie (the area from the old wojewodztwo Kielce)? The website genealodzy.pl (polish website – some English user interface available) has a project called the Metryk project. Their Genealogical Society’s members are scanning metryk records from churches/synagogues. Once the scans are in place, they then index the image into their Geneszukacz databases that are searchable by Name, Event Type (B/M/D), Place. So you have two options Search Geneszukacz by index or scan the available images in Metryk (images are of Latin, Polish, or Russian language church records). So what is available for SwietoKrzyskie? That information is shown in the above image. 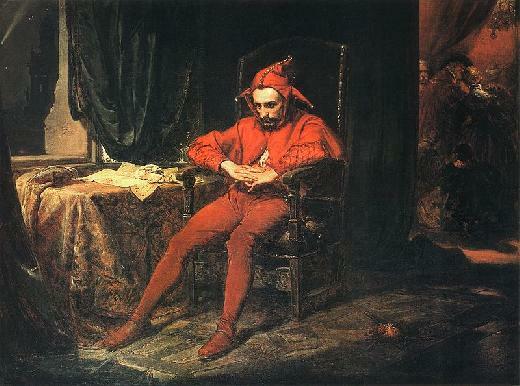 For this jester, I go to Buski (aka Busko-Zdroj). There are, as of March 18th, 2013 a total of five parishes that have some scanned records (metryk / aktow). Biechow, Busko-Zdroj, Dobrowoda, Gnojno, Zborowek. The right most column gives the years for which there are scanned records. For my research, Biechow and Zborowek were the most helpful. What I noticed was the Biechow images were much better than the images that the LDS had microfilmed. See my inventory of Biechow records blog article (19 July 2011). In fact, I was able to read some records better than previously and correct some of my translations. By the way, if you are researching the same area as Stanczyk, then just click on the ‘Powiat buski‘ image and it will take you to the genealody.pl website for that Buski powiat. So whether you have seen these images before or not, I would encourage you to look again at these quality images in the Metryk Project. Hey PTG, can you guys PLEASE scan and index: Pacanow, Swiniary, Szczucin, and Stopnica parishes too? I hope the Polish National Archives will be scanning records in the Kielce Archive for June proszę (please)?